I am SO in love with this kitchen. Can I just say I may have a little kitchen envy? This kitchen needed VERY few changes. The homeowner wanted a little more color in her kitchen. It was a little too sterile for her bold taste. 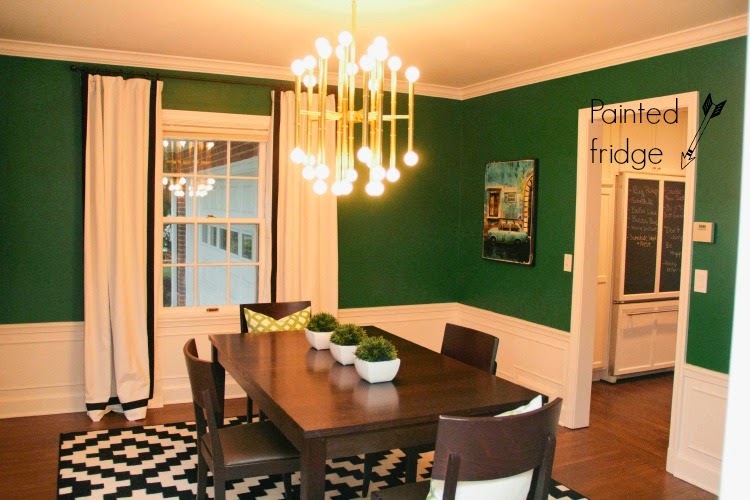 We decided it would be super fun to add a punch of color in the breakfast area. We had a plan to make two major changes. 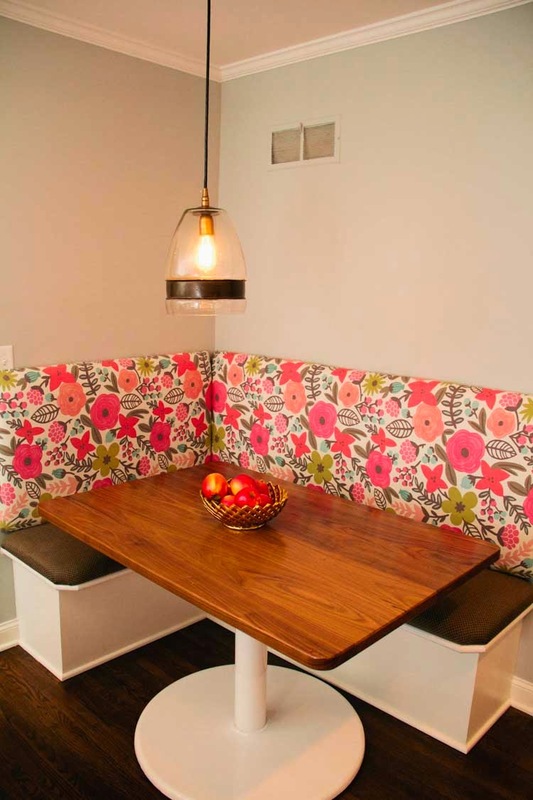 1. add a punch of color to the space through an upholstered wall in the breakfast nook and 2. have a custom table made to fit the space better. It's super hard to see from the before, but the kitchen is small and the existing round table went WAY too far into the walk way. 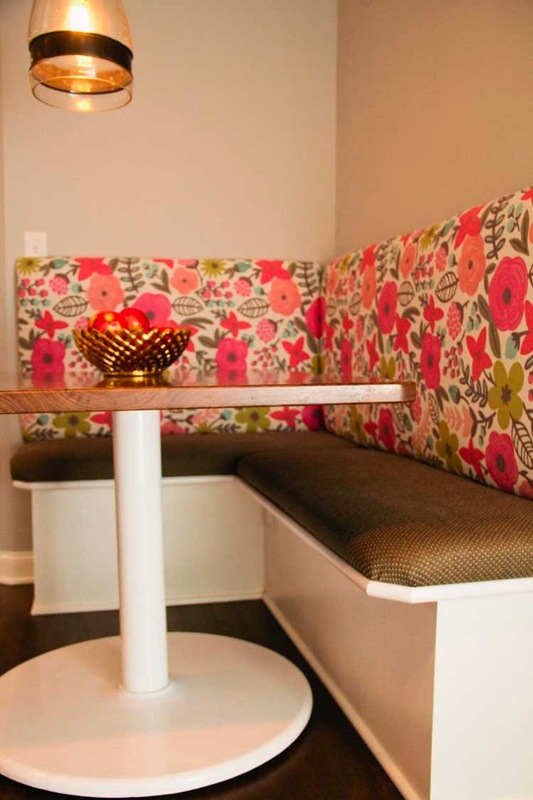 We decided a simple table that perfectly fit within the bench area would be the best design for the space. The plan was to have this piece custom fabricated. 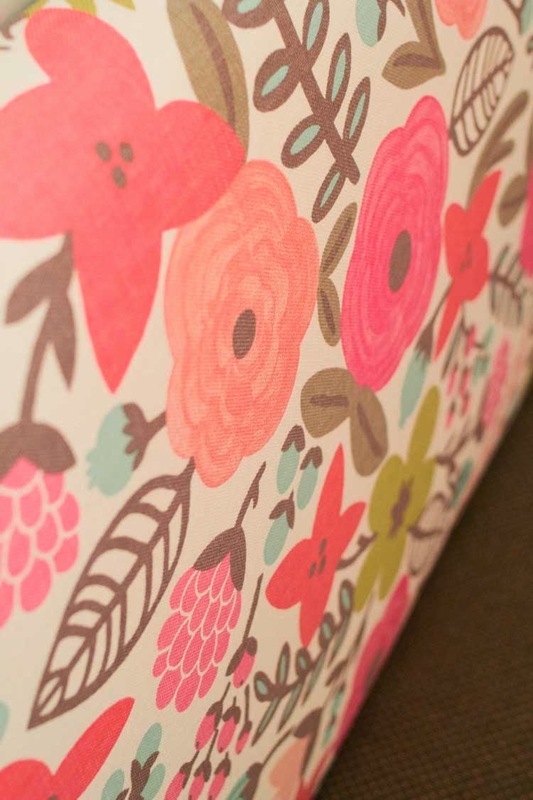 The homeowner had spotted the fabric below in a design magazine and instantly fell in love with the patterns and color for her upholstered wall. After some intense searching, I FOUND IT!!! New table. New upholstered bench. New light fixture. Done, Done and DONE! Here is a shot of the other side of the space… did you just gasp? It is unbelievably gorgeous! 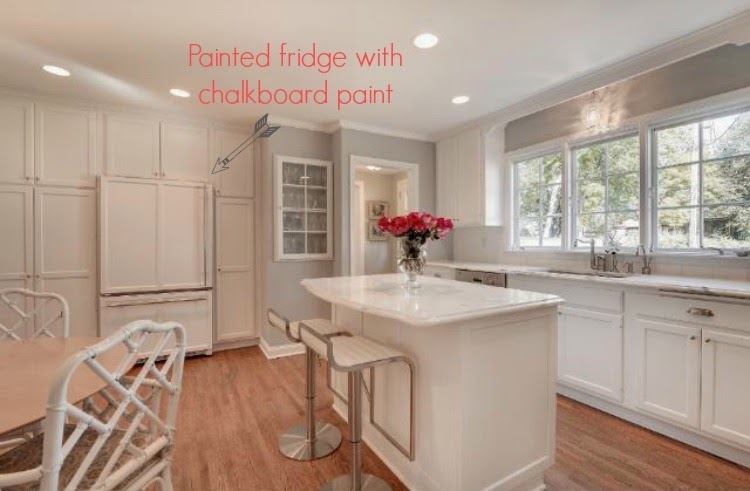 My client decided the fridge panels would look great painted in a chalkboard paint. Genius! If you look through the dining room, you can catch a glimpse of that painted fridge! 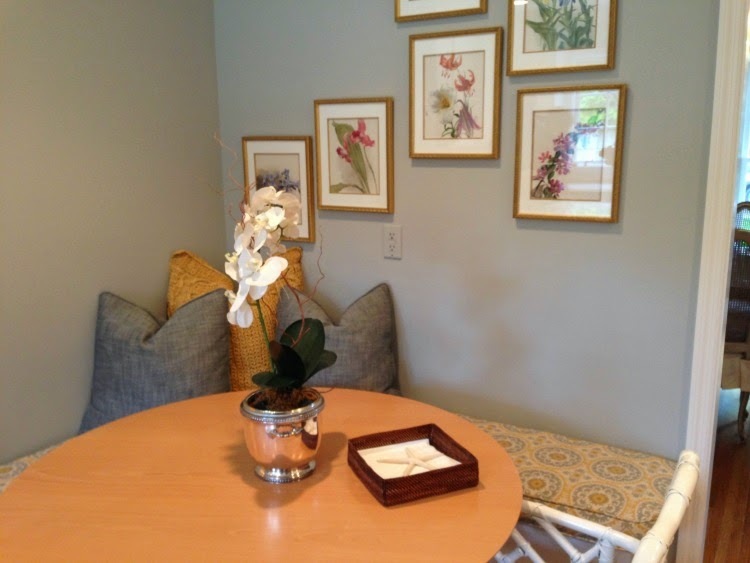 (to see a before and after of the dining space, you can read about it here)! 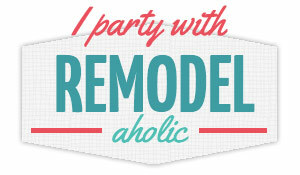 Follow along for more exciting projects… Either on Instagram, OR Facebook! Whether near or far, we'd love to help you with your space! Check out our new eDesign service here! It is seriously looking amazing dear and I also want a same home. I just got married few weeks ago and my friend helped us to rent a space for an event and now we are planning to buy a new home in the same city and for that I want a similar kitchen.